The Friendship Bag: Rinse and Repeat! | Sew Lindsay, Sew! The Friendship Bag: Rinse and Repeat! Ahhh. The return of the Friendship Bag. I promise that one of these days, I will learn to sew something other than Friendship Bags and tissue box covers. 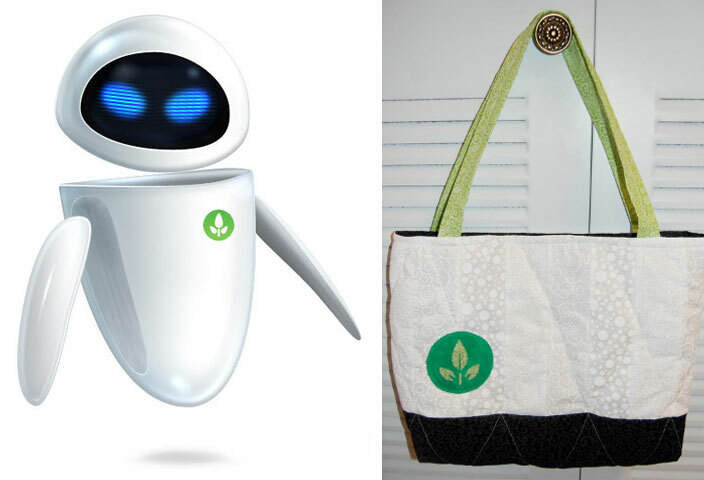 Wall-E inspired Friendship Bag eye candy that I made for a friend! Well, I guess you could say that it was actually inspired by Eve, the sleek white robot in the film. Details, details! 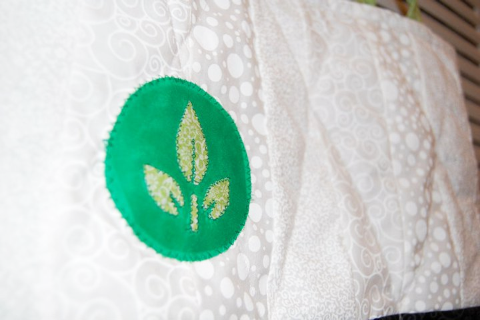 What I love so much about this bag is how much leftover fabric I was able to incorporate. The only materials I had to buy were the white calico prints. The black calico fabric was leftover from the Minnie Mouse Friendship Bag, the light green calico print was leftover from my first set of Friendship Bags and the dark green was leftover from Mike Wazowski’s eyeball. It’s almost as if I was able to stitch little pieces of my memories into this bag – and that makes it feel even more special!